Worth every penny This Juicer was expensive, but I already see that I’m spending less money on fruits and vegetables making up for the extra cost because of the savings. I only need a fraction of the produce for the same amount of juice. I should mention that I’ve been juicing for 12 years now, and have tried every type of juicer on the market. There’s no question that the Super Angel is meant to last. Hi Eileen, we take all warranty issues seriously and investigated the issue with Super Angel. They advised that the video you sent them showed that the juicer is working as it should. The bushing being slightly worn is expected from regular wear and tear from 6 months of use. 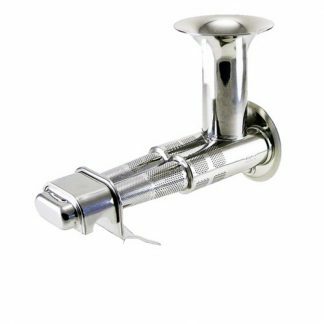 You are welcome to return the bushing back to them for a replacement, but seeing as you are still using the juicer, there is nothing wrong with it. 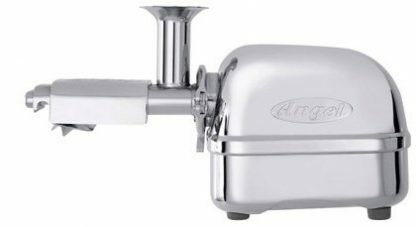 In short, super angel will replace parts free of charge but they are unable to cover the cost to ship the juicer back to them since the juicer is working up to standard and the bushing being slightly worn is expected from regular wear and tear. Needs repair in 6 mos. My low rating is due to the price. I purchased the top of the line model, along with accessories, and spent approx. $2500 on this. That was 6 months ago. Now the bushing for one of the gears wore out, and the only way to get it replaced is to ship it, at my cost, to CA (I live in NJ) for replacement. If they determine it's a defect with the housing unit, I need to pack the whole juicer at my expense to CA. There are no local dealers or repair options. The unit weighs a lot, so it'll cost a lot to ship it. It's a nice juicer, but I wish I had purchased something a lot cheaper, because I didn't think I'd have to worry about repairs or replacements in only 6 months. Super Angel I bought the Premium Deluxe on the recommendation of a few friends and absolutely love my juicer. I've used it everyday for the past year and it has become my new companion on this journey to a healthier lifestyle. I'm buying the nut butter attachment to make my own nut butters next. 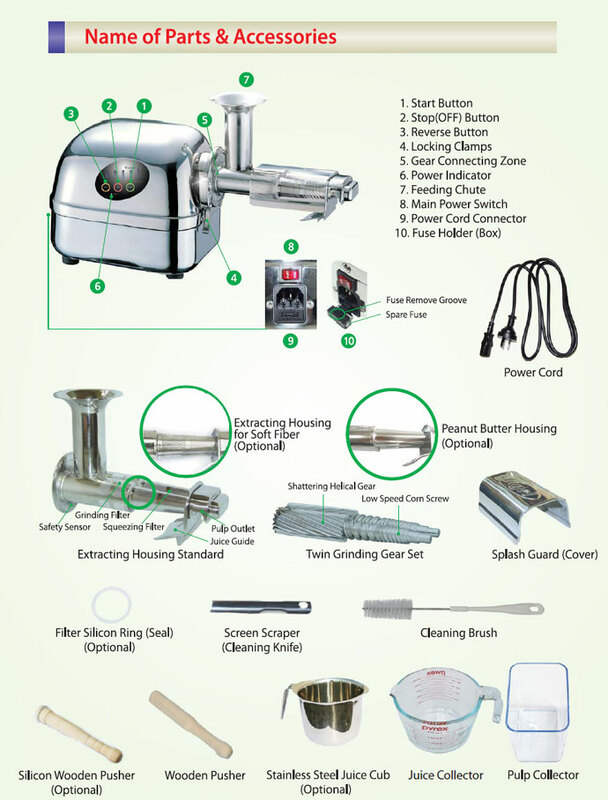 Buy the Nut Butter Attachment The nut butter attachment is an absolute must with this juicer. The juicer is such a high quality juicer and the nut butter attachment is the icing on the top. My family loves the almond butter treats that we make and my friends love getting jars of homemade butter from us. Super Angel Premium Deluxe Juicer This is our first juicer purchase and my family loves this thing. We always use it. My family juices 20 pounds of produce every week and each glass is as good as the first. I watched a couple videos on the Super Angel and was up and running the minute it arrived. My only problem is that I couldn't find the spare fuse at first. I called the Super Angel support phone number and they pointed it out near the power cord. They helped me locate it and were very helpful. Very good purchase. love it Bought the premium deluxe and it is the best juicer ever. 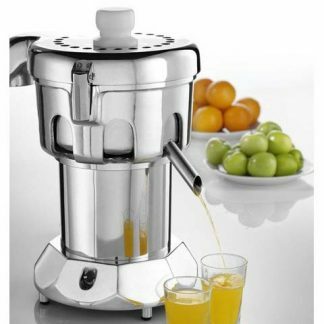 I use this juicer to make my favorite juice with apples, cucumber, spinach, carrots, and lemon. The Angel gets every drop of juice out of my ingredients! There is no pulp in the juice and it keeps in the fridge for three days. I couldn't imagine using another juicer and throwing away wet pulp. Has anyone seen the price of organic groceries lately!? 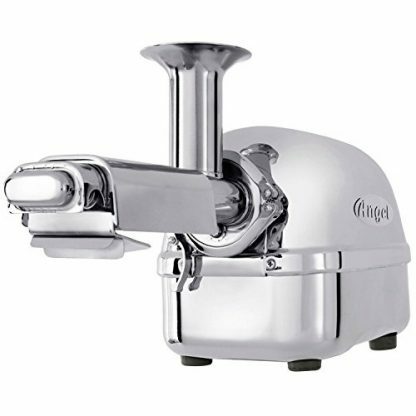 As a proud owner of the Angel I'm happy to buy fresh organic groceries knowing that this stainless steel beauty will turn everything into a delicious juice. Highly Recommended This juicer is a great machine! It has a much better yield than any other juicer that I've used. The quality of juice is amazing - even after sitting in the fridge for a day. It's also really easy to clean since you can throw the parts in the dishwasher. Perfect Design My family used to use a centrifugal juicer and boy is this one EVER different! It took us a while to splurge on the Super Angel but we sure are glad that we did. We did a ton of research and decided to buy the Premium Deluxe. 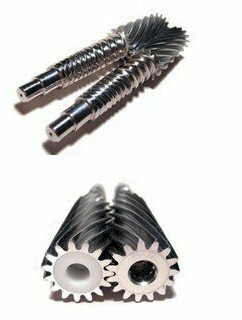 It has the best stainless steel materials and twin gears. There is no BPA, so little wasted fruit and it is a breeze to clean. I cannot think of any improvements that I would make to the Super Angel. If you plan on juicing frequently then definitely spend your money on this. My only regret is that didn't upgrade sooner. It just saddens me to think about how much wet fruit we threw away with our centrifugal juicer. Very Nice Juicer Did extensive research about this juicer and bought two since the Premium Deluxe is top of the line. Got one for me and my mom and got a discount for buying two. Very good service from Brandon. He walked me through the entire process and was really helpful. Everything worked perfectly - from the customer services to the free shipping. Very happy with my purchase. Best purchase of 2018 Such a quiet juicer and the fiber is bone dry. My only complaint is that it is a bit expensive. I searched around and the cheapest Super Angel juicer was through Plant Based Pros. So happy that I searched instead of paying an extra $200 through Amazon. It does a spectacular job and gets every last drop of juice out of my produce. I'll definitely get my money's worth over time given the high price of veggies so the price is a minor issue. 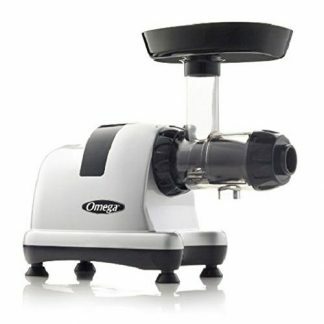 Overall it is a great juicer, easy to disassemble, easy to clean, and fun to use. A little pricey but this outperforms every juicer that I've used. Simply the best I've used a couple of juicers in the past, but they have nothing on the Super Angel Premium Deluxe. The pulp is very dry so it maximizes the amount of juice in every single fruit. All in all, I'm really happy with the amount of juice I get. You definitely can't go wrong! Awesome juicer! I've been using this juicer for the past 3 weeks and I've been very impressed so far. 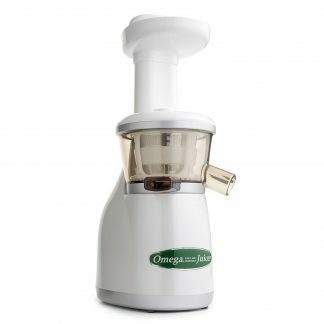 Compaired to other juicers that I've tried in the past, there is less foam and very little pulp. 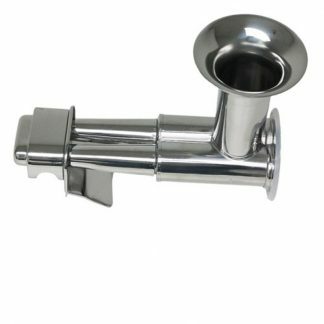 It is also very easy to clean as there are only 4 parts that need washing. All the parts and components are stainless steel so it looks nice on my counter. Overall, great buy!